These presentation slides 50333 are complete compatible with Google Slides. Simple download PPTX and open the template in Google Slides. 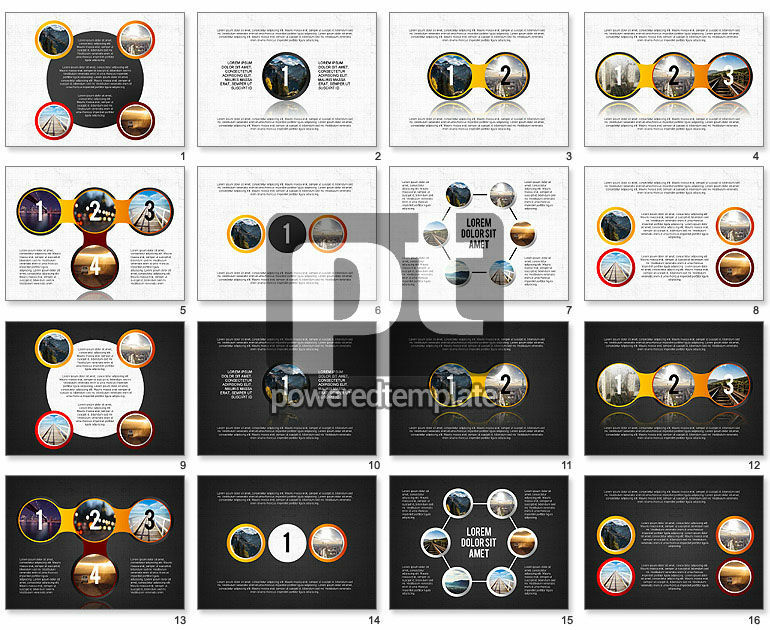 The main concept of this presentation is applying circles and numbers made in yellow, red, and grey colors that play a role of frames for nature beautiful pictures on white or black background. Using such an informative presentation is possible for applying in tourist agencies projects, resort institutions and so on.